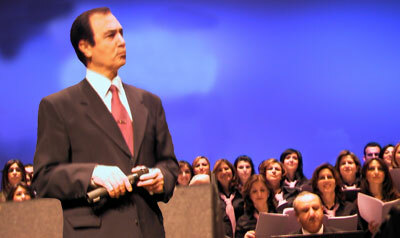 Syriac Music Choir honours the famous Syriac singer Fouad Ispir in a live concert of his life´s work. The concert will be performed at Estrad’s Theater in Södertälje to give our wonderful audience a golden chance to listen to Fouad Ispirs nostalgic musical works. The concert will be performed in cooperation with the great soloists Bashar Youhanon, Gabi Masso and Mr Touma and with the accompaniment of a live oriental orchestra.